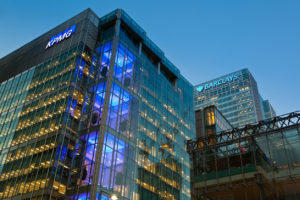 In a formal life, not so long ago (2012-2013) I was working for KPMG as a Personal Assistant in their impressive Canary Wharf office. At the time I didn’t own a sewing machine (!) and I was collecting cooking equipment, not gorgeous fabrics. I knew a lot of a basics but my concentration was on cooking, general crafting and mending the odd garment at the time. This week, as an alumni of this world renowned firm, their International Alumni newsletter has published an article about what I have been up to since leaving KPMG. More importantly the article reveals my future and the direction I am taking. Are you happy with the clothes you wear at work and social events? 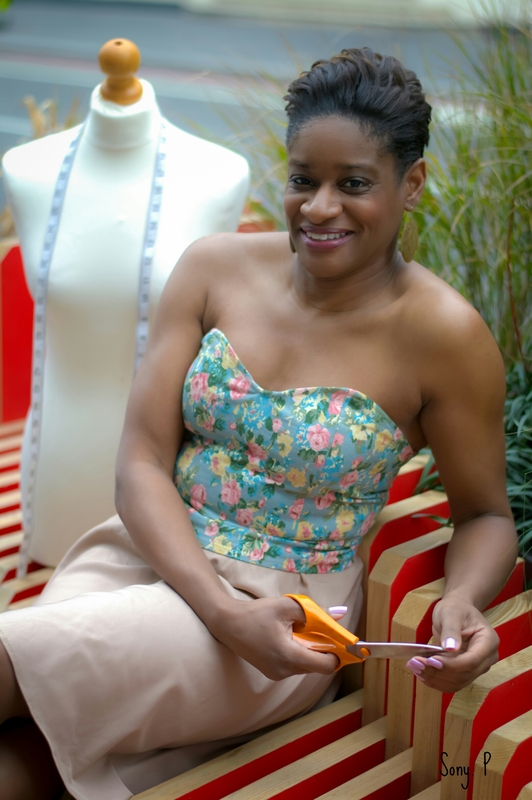 If the answer is no, then one woman who might be able to help you is ex-KPMGer Ghislaine, who graced the most recent series of the BBC’s Great British Sewing Bee last year! Ghislaine worked as a PA to two partners in the Tax and Pensions team from 2012 to 2013, based at Canary Wharf. 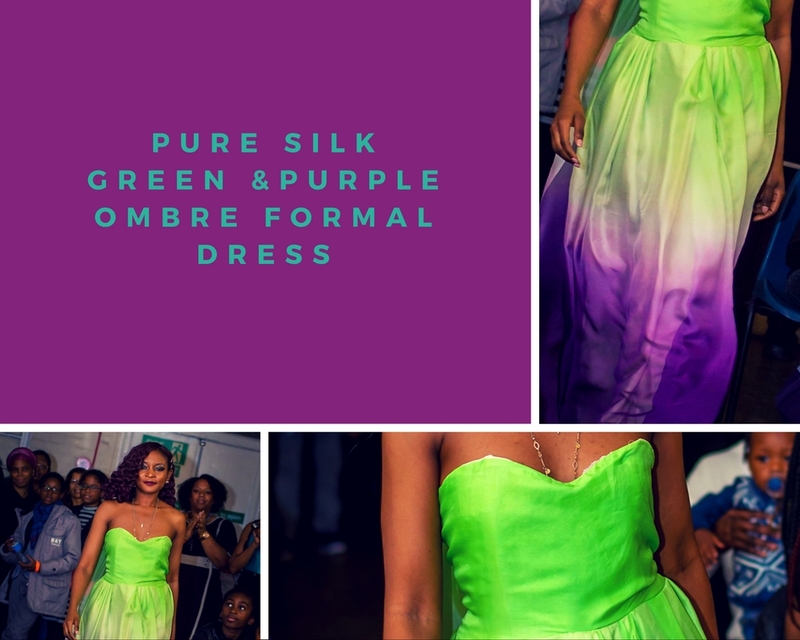 Perhaps it was this combination of creative tailoring in the family, and the vibrant natural colours of the Caribbean, that led to Ghislaine’s passion for fabrics, textiles and the creative arts – all with a strong sense of colour (purple and green being her favourites). She was also interested in the English language and made it one of her long-term ambitions to become fluent in English alongside her natural French. She knew that one day she wanted to live in the UK – and eventually moved here in the year 2000. Initially working as an au pair, she soon managed to find work in her chosen field as a PA. Her time at KPMG was a contract covering maternity leave – and one she thoroughly enjoyed. It was actually after she had left KPMG that Ghislaine first bought a sewing machine and began to get serious about working on clothes and fabrics. It wasn’t long after this that she saw Sewing Bee was open for applications for series 4. 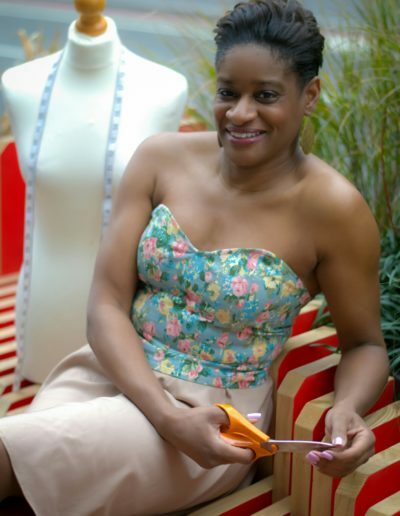 Not imagining she had a serious chance of making it, Ghislaine applied, went through a selection process – and was successful! Filming for the series took place in February and March last year, with the series being broadcast in the summer. Ghislaine didn’t make it to the final – but she did win one of the tasks, which was to make a kid’s outfit to match a bridesmaid’s dress. She created something with a boxer theme! Since Sewing Bee, plenty of other things have happened too. Ghislaine was invited to put together her first fashion collection in London in a show called Textile and Senses that was commissioned to celebrate ‘Success and Achievement’ in the context of Black History Month in October last year. 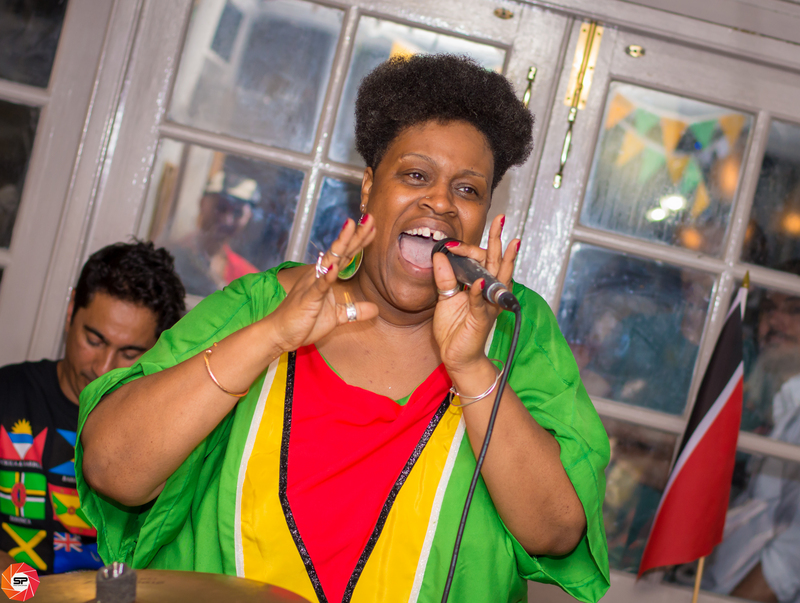 She has also taken on some commissions designing clothes, including for a jazz singer who was singing at last year’s Brixton Jazz Festival. 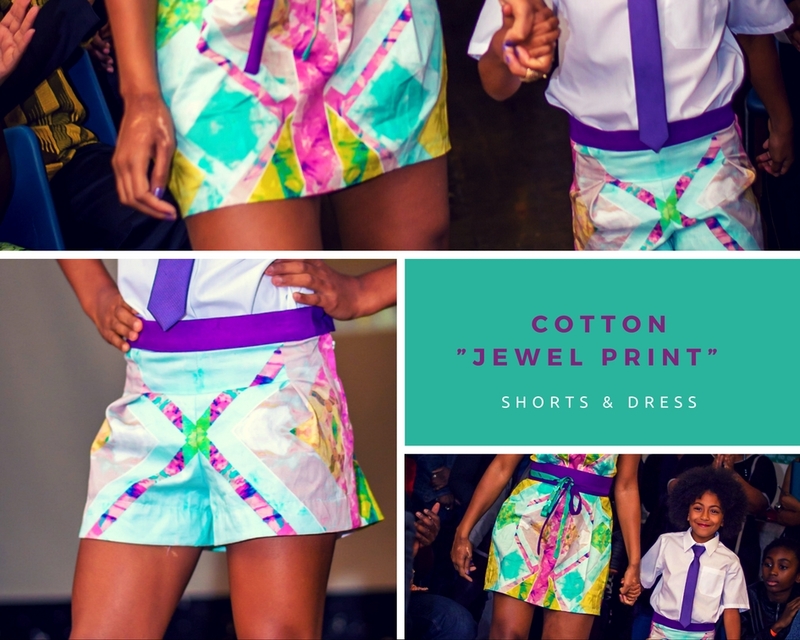 More broadly, she now offers a fashion fabric consultancy service to women who want to make the best informed textile choices for their garments and have them reproduced in their choice of colours and fabrics, for either work or social wear. She is also a frequent blogger on fashion, textiles and style choices, and is active on social media. See her website at http://ghislaine-gazon.co.uk/ for a colourful introduction to what she does. Thank you to Mark Hamilton for this well written article. 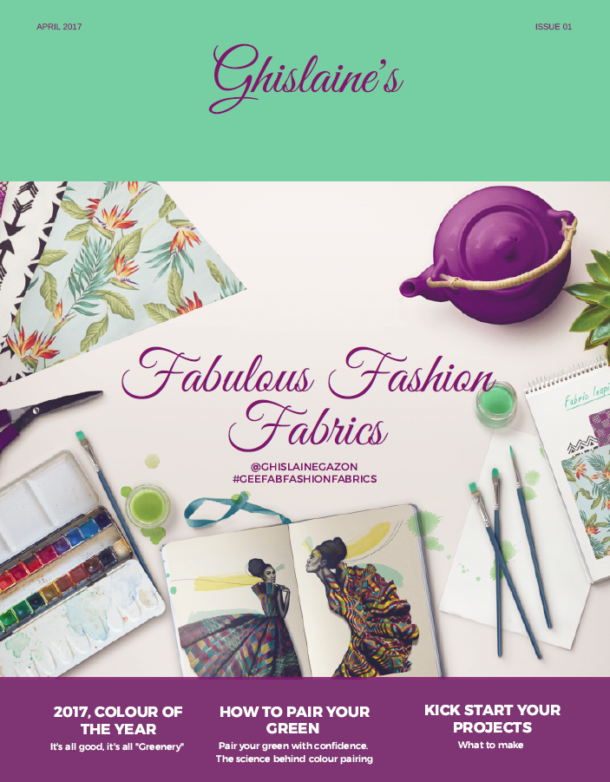 Yes I am launching as a consultant for the fabric novice, for the fashionista who wants to have the red carpet gown copied and for anyone who wants to explore my kind of candy store: The fabric shop! Sign up to my blog here so that you don’t miss out on the exciting official launch and the free gift I will have for you!